For the past 65 years, the Wading River Historical Society has maintained the town’s history. This includes the History House. It is home to local artifacts including vintage clothing, historical documents, farm tools, and more. 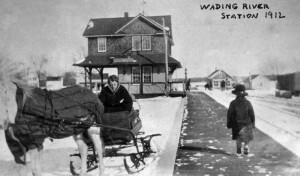 Wading River was first inhabited by eight colonial families in 1671.